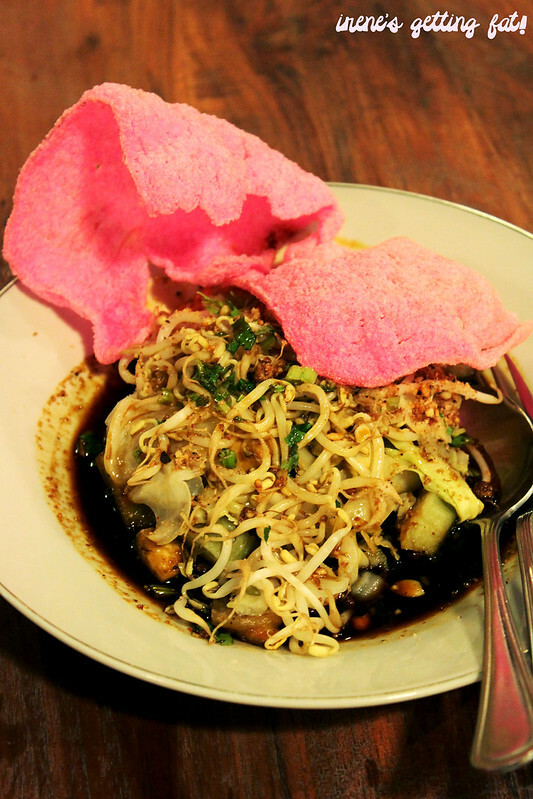 How much do you know about Indonesian food? Expert? Much? Not really? I hope at least you know where Indonesia is, because I've heard a friend telling me confidently that Bali is its own country, separated from Indonesia. This statement has me face-slapping myself, but also drives me to promote Indonesian food further. What's best than introducing a country than to present its amazing culinary as the first step? So here's an effort. 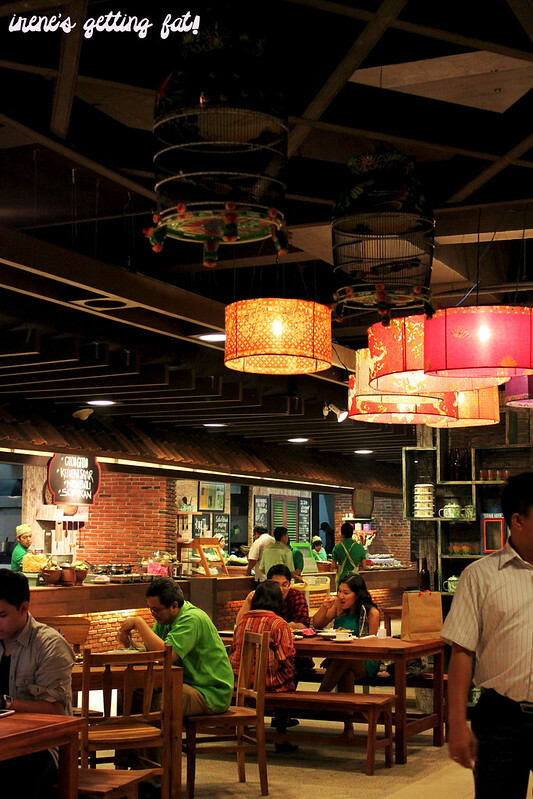 Dapuraya is Indonesian-food based food court in Pasaraya Blok M, a well-known mall in the South side of Jakarta. Although it's a long way from home, my curiosity got the better of me, and I also want to mingle more with Indonesian signature dishes. 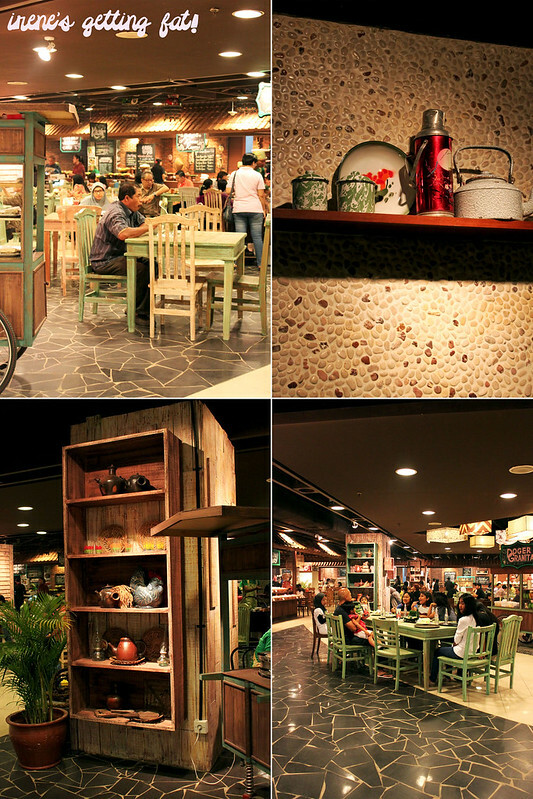 The area is spacious, dominated with warm colours, wooden furnitures, and vintage props (e.g. 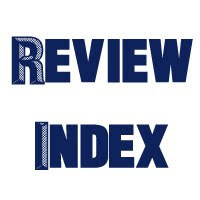 old-school cutlery, cracker jars, batik lanterns, etc. 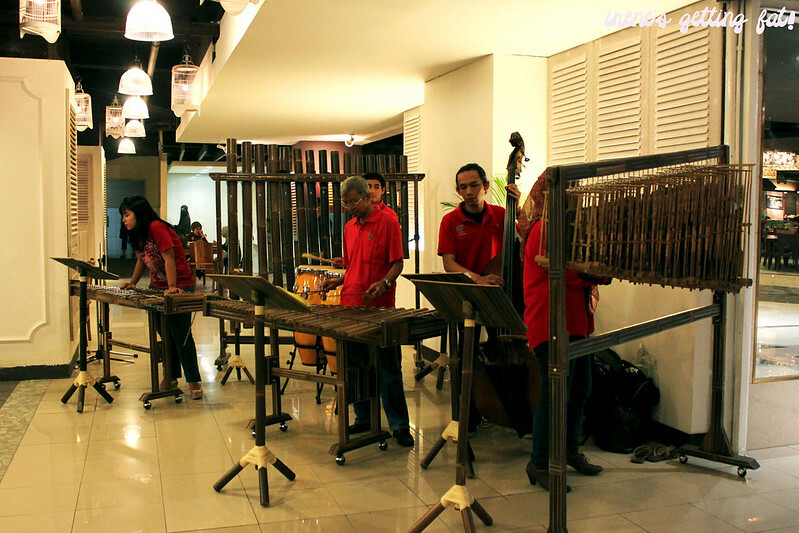 ); all creating rustic and antique Betawi/Jakarta vibe. 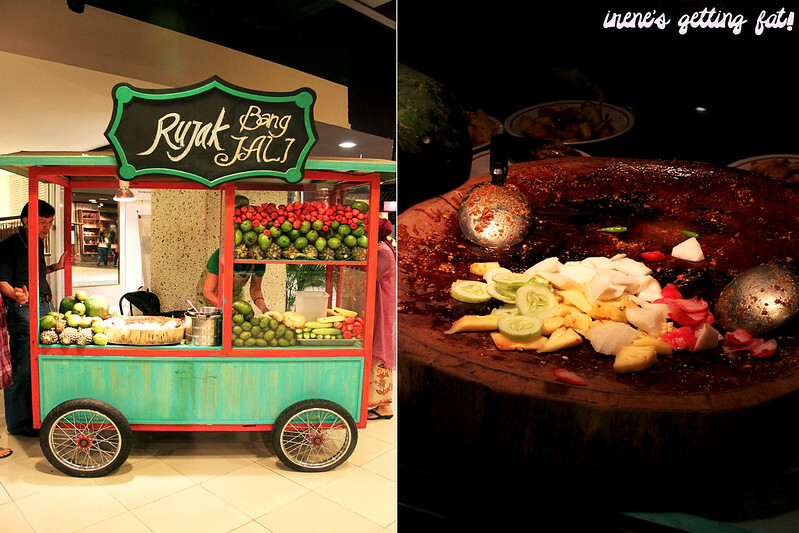 The food stalls are all over the place, mostly offering Indonesian food but some offer the others (e.g. Japanese, Korean, Philippines). 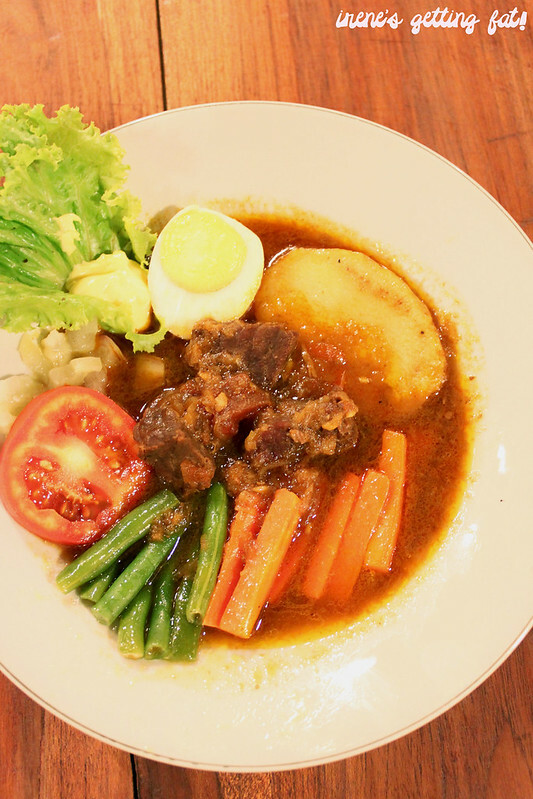 Selat Solo - Javanese-style steak. 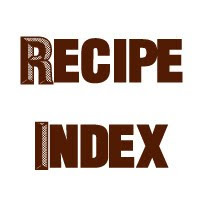 Consists of spiced beef steak, boiled egg, fried potato, steamed veggies (carrot, cabbage, green beans), yolk cream (so rich I wouldn't be able to handle another dollop), drown in very tasteful broth. 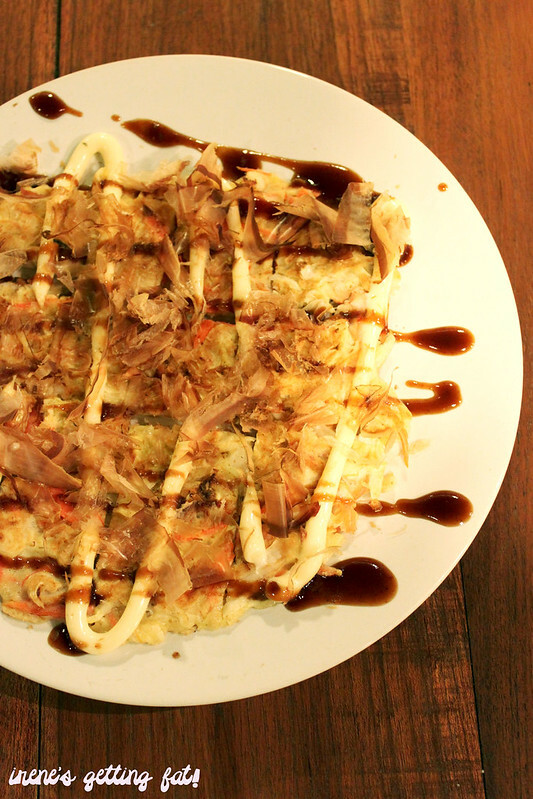 Okonomiyaki - not Indonesian food, I got one because the owner gave a free tester and she was so friendly. It's a bit dry, but has generous filling. Kupat tahu - bite size ketupat (compressed rice cake), fried tofu, and beansprouts doused in one-of-a-kind peanut gravy. (Quite) healthy and definitely tasty. Nasi pecel & ayam bakar - Indonesian style salad with peanut sauce, completed with grilled chicken, served with rice. Not outstanding but a filling, satisfying meal. 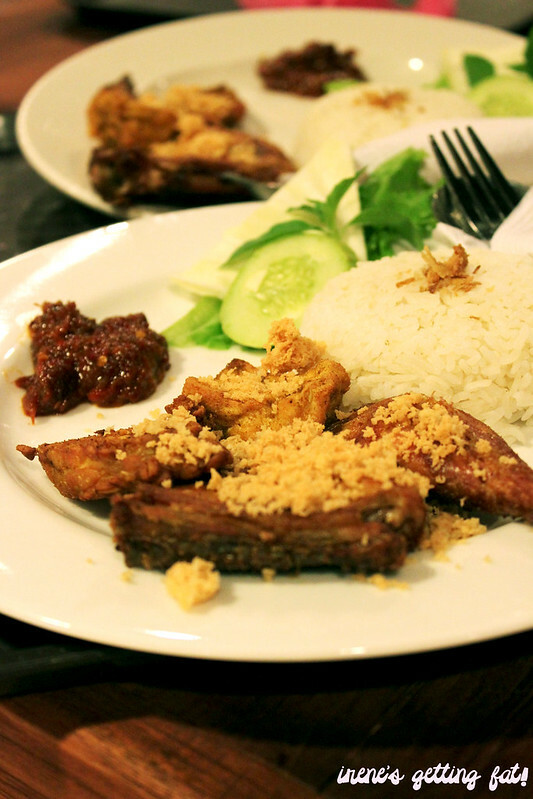 Nasi ayam penyet - deep fried pressed chicken with fried tofu & tempe, served with rice. The chicken is seasoned perfectly and so tender. 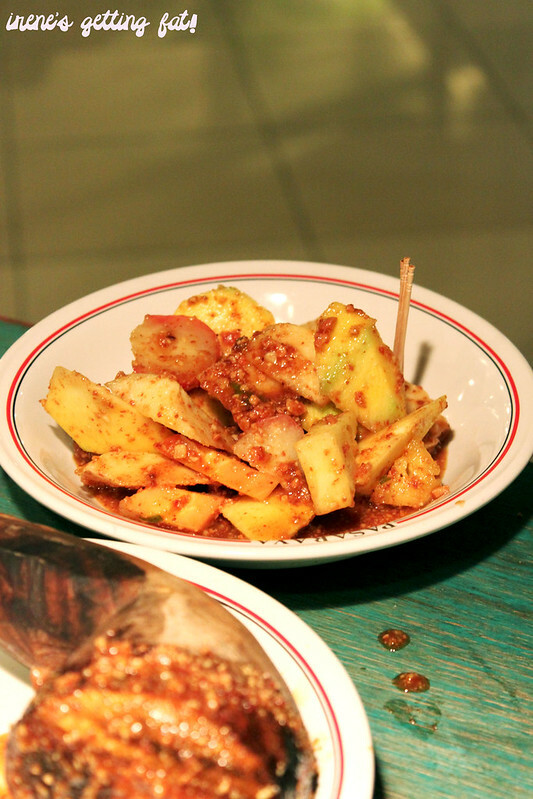 Rujak buah - Indonesian style fruit salad, served with abundant peanut, tamarind, brown sugar, and chilli sauce. Perfect palate cleanser. 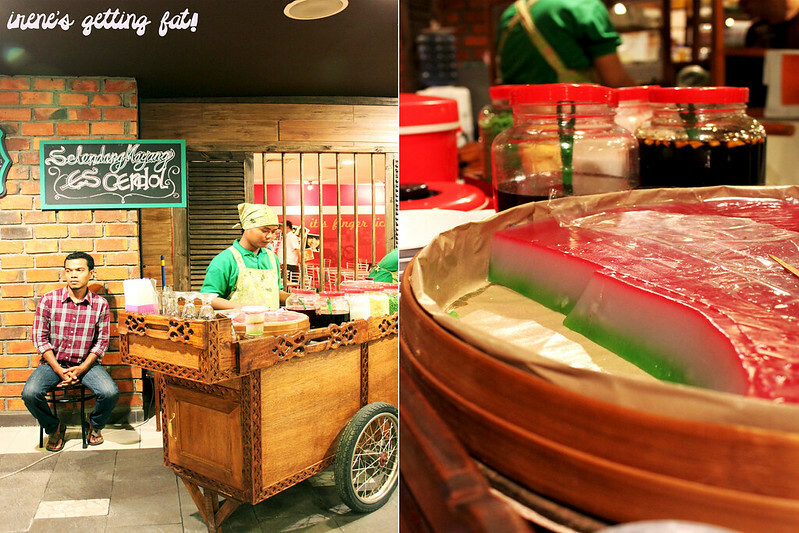 Es selendang mayang - one of Indonesian signature desserts; the 'mayang' is made from cornstarch mixed with sugar and food colouring. 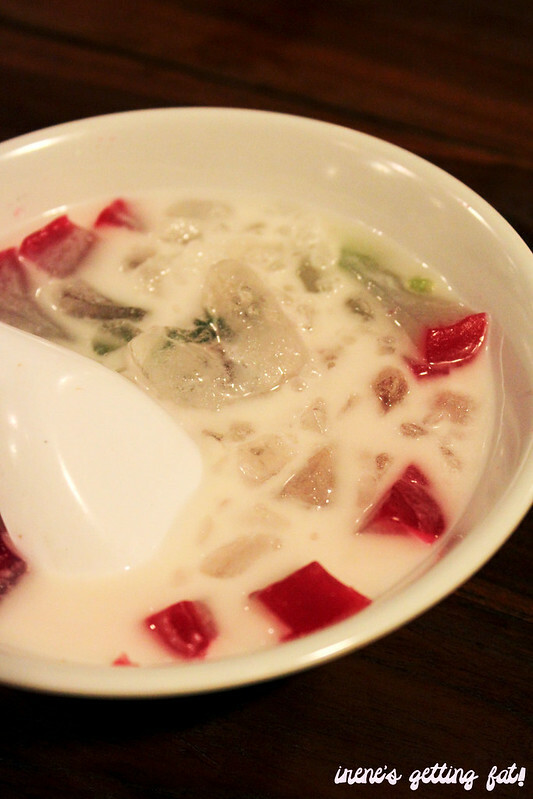 It's springy, while the sweetness comes from the cold soup of coconut milk and syrup. 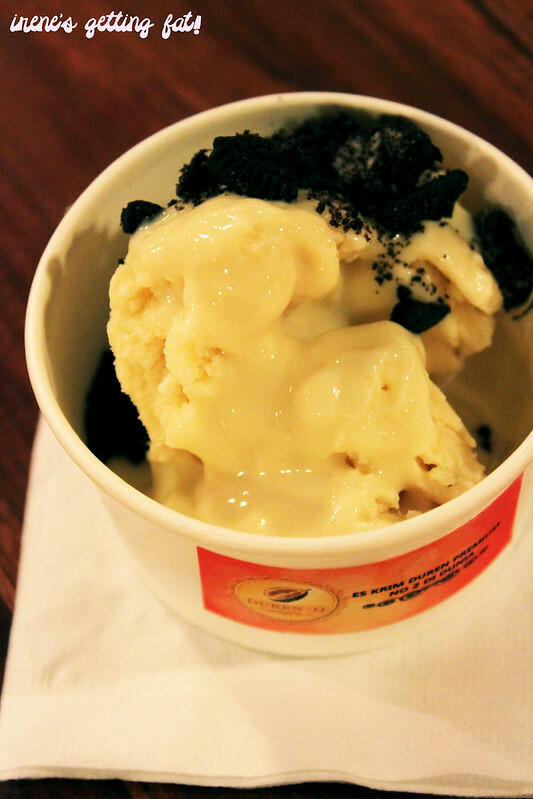 Es duren (durian ice cream)- my favourite item of the day. The high priced dessert worth every Rupiah, there's a lot of durian flesh inside, the ice cream is so creamy and successfully delivers me to durian heaven. The crushed Oreo isn't really needed, but every mouthful is a definite pleasure. 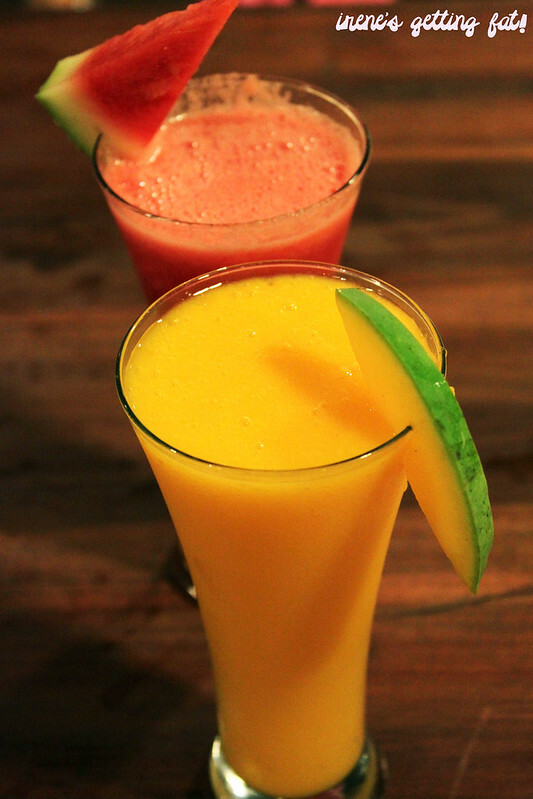 Drinks - too sweet watermelon juice and awesome mango juice. 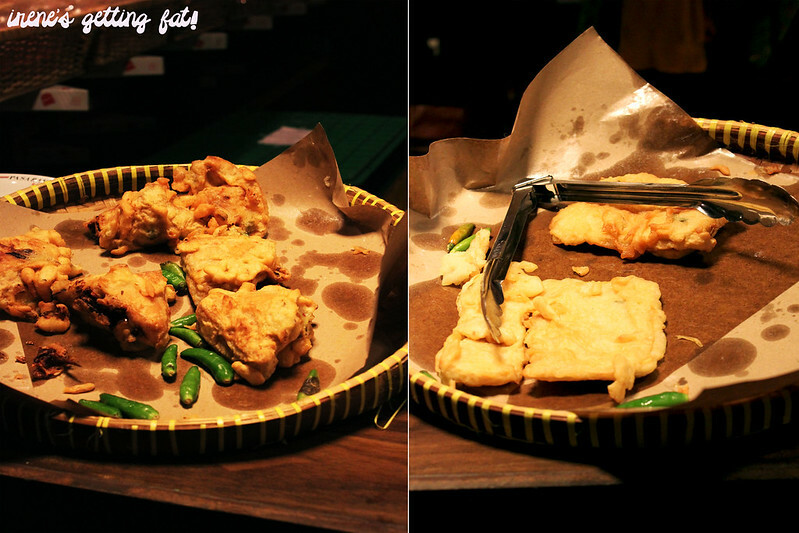 Tahu & tempe mendoan - lightly battered, not really crunchy tofu and tempe. Addictive as hell. 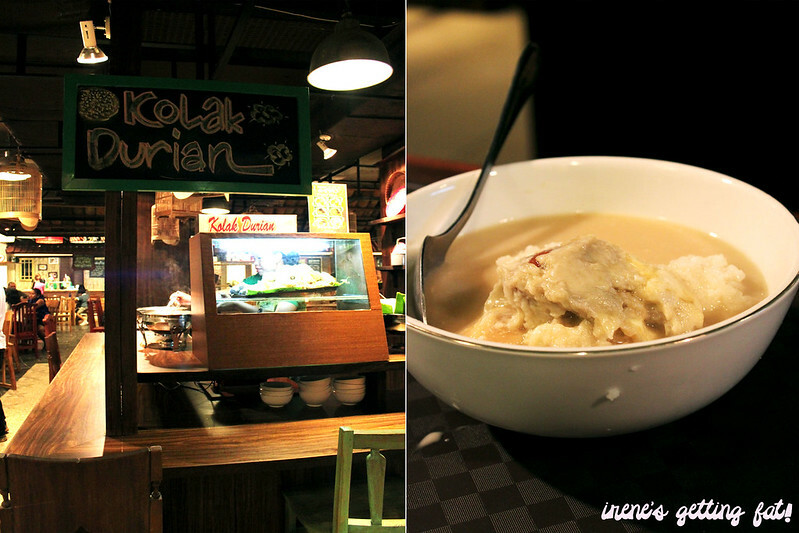 Kolak duren - sticky rice and durian served with thick coconut milk gravy. 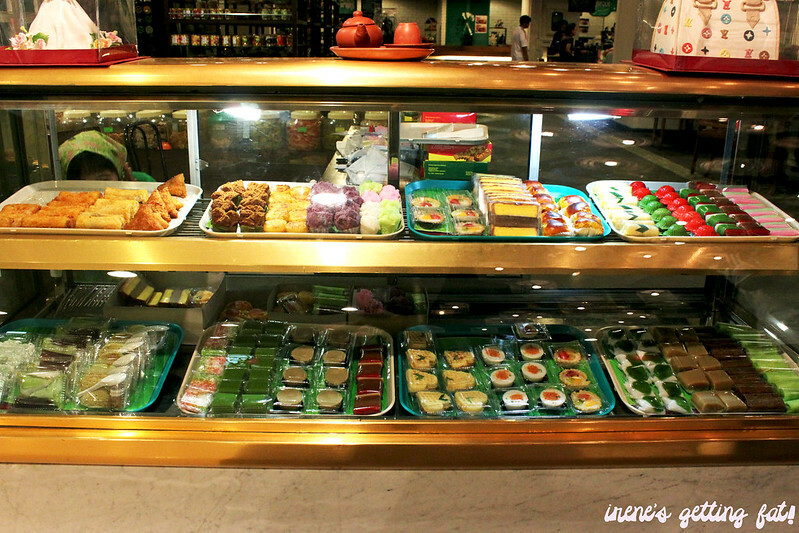 Kue tradisional - arrays of Indonesian traditional snacks, kuih (cakes), and more. It definitely is a remarkable culinary experience, especially because I had never tried es selendang mayang or selat Solo before. Indonesian food is indeed awesome and needs more appreciation! Another great thing about this place is that they're still holding the 'buy 1 get 1 free' promo, so you only have to pay for one plate while you can get the other one free, and they don't have to be the same dish. It really gives a significant cut to the bill. Unfortunately, it's only until the end of the year. Postpone no more. 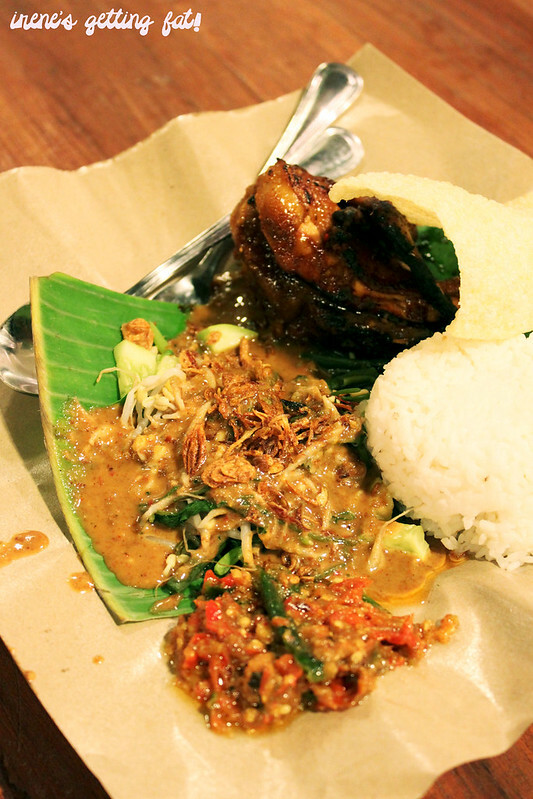 Go there for your lunch today and get something very Indonesian you have never tried before! 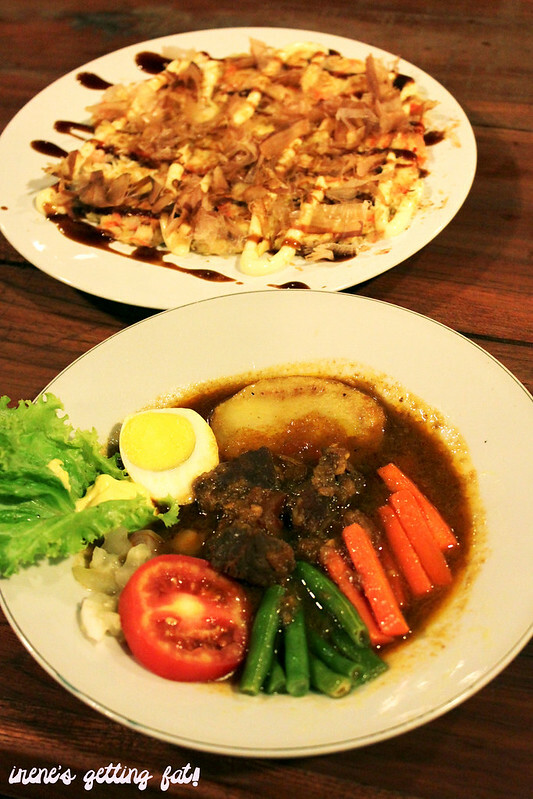 Really great choices of Indonesian dishes, service is good, price can be a bit high without discount, ambiance is really good & perfect for gathering and family meals. I've heard about the launching of this place, recently. it looks greater than i imagine. i think it's sort of indonesian version of eat and eat, isn't it? yep! you're gonna love it! I'd love to checkout DapuRaya soon! But too bad, it's at Blok M, kinda hard to reach there without being stuck on the streets for at least an hour from where I live. This place is fascinating and definitely coming here alone is not recommended, because then, one can't try the many types of food on offer here. I had to beg the family to come w/ me, it's too far for me as well haha. WOW! that's a lot of food and it all looks so good! enak selat solonya, harus dicoba!